Dr. Thomas B. Lintner and our team here at Advanced Aesthetic Surgery understands that motherhood can be one of life’s greatest gifts. We also understand the physical and emotional changes that can occur after pregnancy and while raising your children. 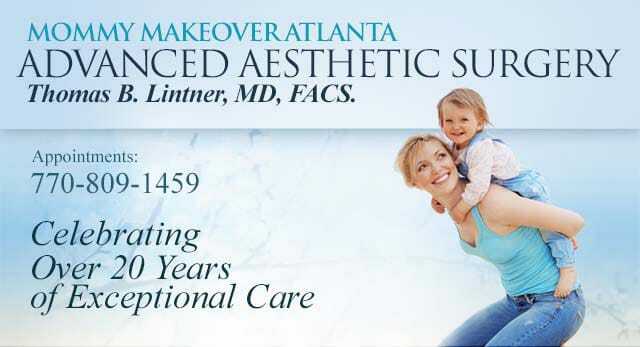 Our board-certified plastic surgeon has been practicing in the Atlanta and Marietta, Georgia area for more than 20 years, helping patients achieve their cosmetic enhancement goals with beautiful, natural-looking results. Dr. Lintner has treated many new mothers and those who are in the midst of raising children, and is highly skilled at improving the physiological effects of pregnancy and breastfeeding. Q: How Soon After Consultaion Can I Have a Mommy Makeover? Dr. Lintner discusses the various steps and appraoches to post pregnancy cosmetic procedures.